Clint is not one to jump into much without long contemplation (he and I are so alike in that way…I hear you all snickering!). So we took notes about “the boat” and asked lots of questions. Then we were off to eat our sushi. So, enough on the senseless details, when spring arrived, Clint bought that boat. 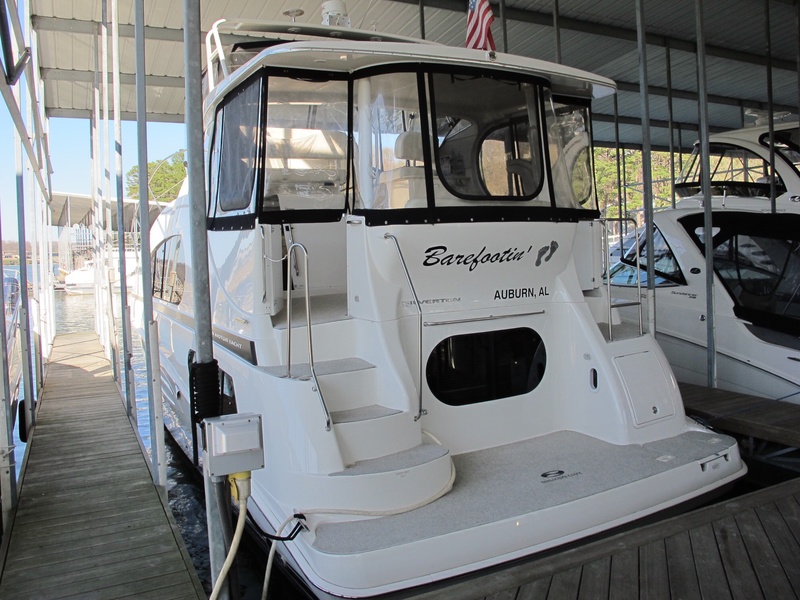 Below – Our new Barefootin‘ as she happily awaits our first trip together on April 9th. This coming Tuesday we board our new Barefootin‘, spending the night on board. 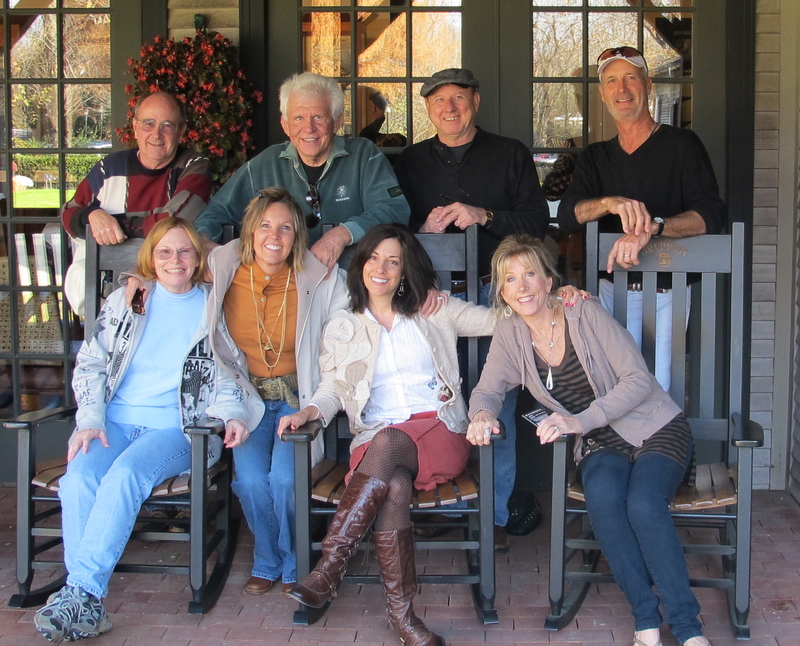 We are thrilled that our boating friends, Jim and Sue, will be joining us. 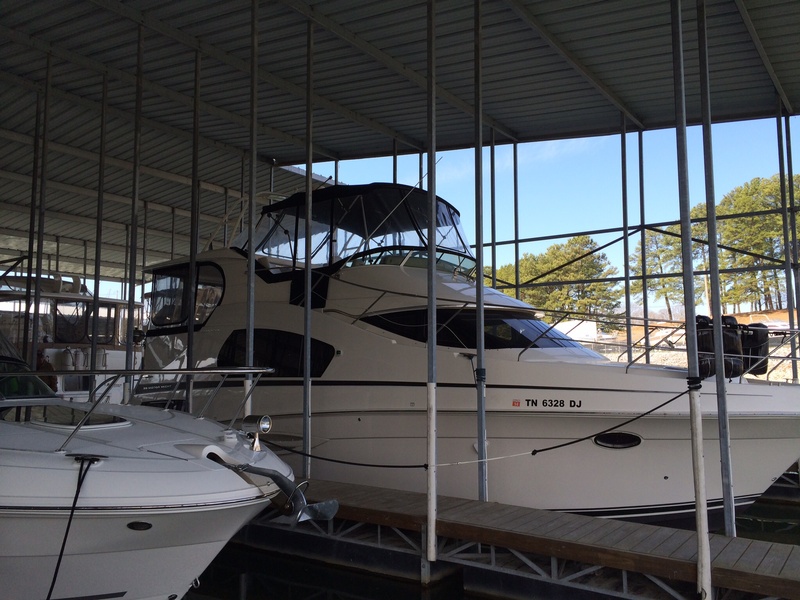 Wednesday morning, together, we will pull in our lines and head down the Tennessee River on a 95 mile trip to Goose Pond Colony Marina, Barefootin’s new home. Jim has volunteered to be, as he calls it, the deck ape. Sue and I will be working out travel safety for our dogs, who always boat with us. There will be new dog dangers to find and remove or resolve on this trip, guaranteeing that Clint and I can relax on future trips, knowing the dogs are traveling safely too. Onboard for her first ever boat trip is our newest addition, Scarlett. Above – Last week, all three of the girls (Presley, Scarlett and Mackie, hidden in the back bed) relaxed aboard while we cleaned, unpacked, and organized the new Barefootin‘. 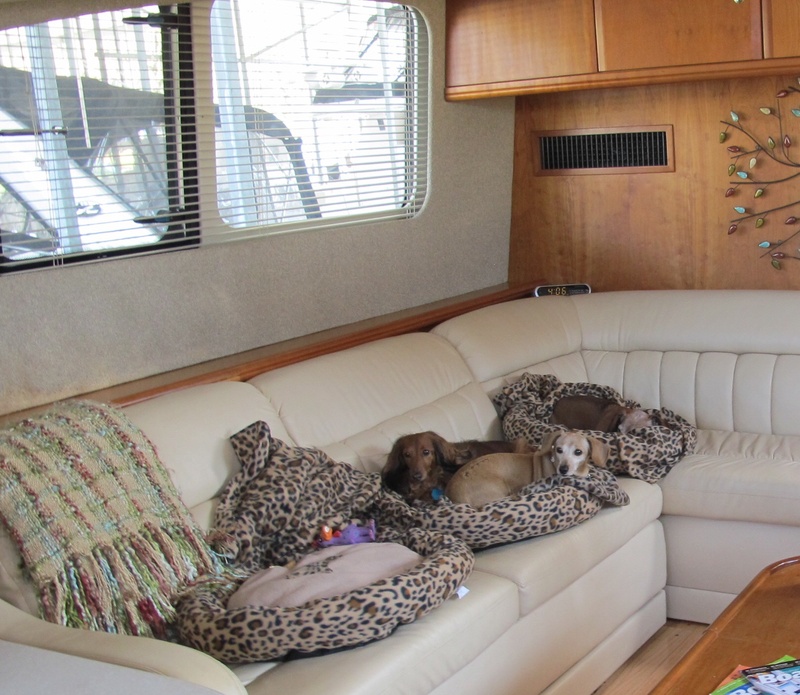 The matching boat beds, with blankets and toys included, were just one of our purchases as we settle in to our new boat. Below – Despite the seemingly silliness of it, Clint and I had no doubts when deciding on our new “home port.” After all, home is where the heart is, right? Smiling. Trip photos and news will soon follow.